Long-term care insurance is an insurance policy that is specifically designed to provide coverage for an elderly individual for a period of 12 months or more of necessary services in a nursing home or other long-term care facility. The policy covers necessary diagnostic, therapeutic, rehabilitative, or personal care services, usually when the individual becomes ill or injured. However, a long-term care insurance policy cannot exclude coverage based on the type of illness, type of provider, territorial limitations, treatment, medical condition, or an accident other than a motor vehicle accident. As people have begun living longer and increasingly staying in long-term care facilities for longer periods of time, insurance companies offering long-term care policies have begun to significantly increase their premiums, which can make these policies quite expensive. Premiums are based on your age, health, and the level of benefits that you choose for your policy. Plus, policy premiums may increase over time. Whether long-term care insurance is right for you will depend on a number of different factors, including your age, health, retirement goals, income, and assets. 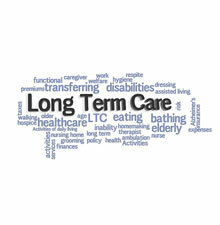 For some people, long-term care insurance is an affordable option that can help pay for long-term care. In other cases, the benefits of such an insurance policy do not justify the costs of the premiums. If you are going without other basic needs in order to afford your premiums, for example, then you probably should not take out a long-term care policy. 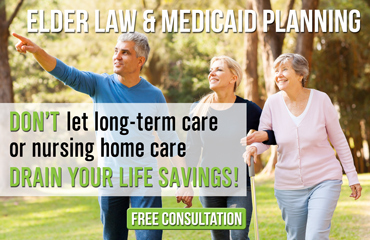 The Michigan long-term care lawyers of the Law Offices of The Elder Law Firm PC handle all types of long-term care situations on a daily basis, and we know how to best advise you, based on your circumstances. Take the first step and call our office today to set up your free consultation with one of our Michigan elder law attorneys.